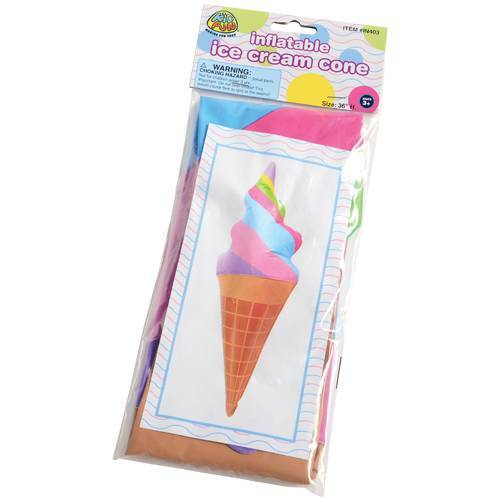 Whether you are looking for a tasty decoration for your candy buffet or a delicious party favor for those goodie bags, these ice cream cone inflates are a must have! 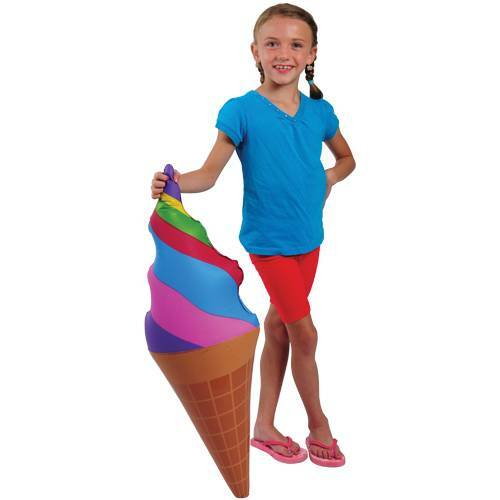 Large and brightly colored, they are eye catching and will liven up your party decor. 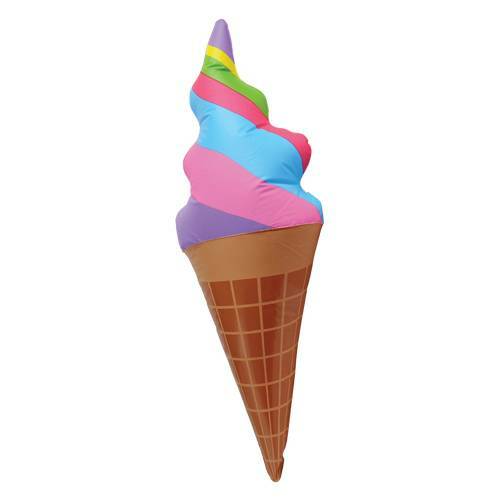 A great party favor, young guests will love to play with these soft yet durable inflatables in and out of the pool.